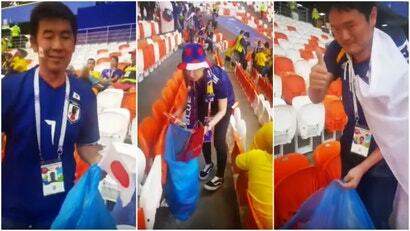 After the Japan vs. Columbia World Cup game, it wasn't only Japanese soccer fans who were cleaning up after themselves. Colombian fans were, too. Around 15 years ago, there was a Half-Life mod released called International Online Soccer, which turned Valve's classic shooter into a football game. Now, just in time for the 2018 World Cup, it's back.